The Dorr Alpina Pro 8-20x50 Porro Prism Zoom Binoculars are optically superb with a high-quality coating and fantastic BK7 prisms, which really allow the user to view subjects in detail, capturing color and depth. The optical construction of the Alpina Pro Zoom Binoculars also features large exit pupils (objective lens) which ensure bright and brilliant images, even under difficult light conditions. 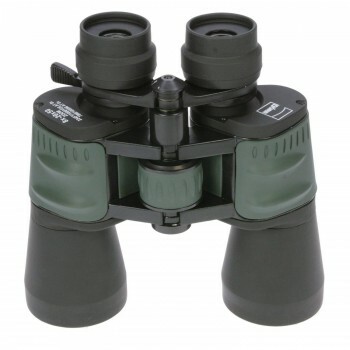 The binoculars are hugely versatile, having the ability to zoom into a subject, for better viewing. Simply focus on the subject through the binoculars and then move the zoom lever position up or down to bring it nearer or further away; the zoom facility really helps with picking out the finer details of the subject. Zoom binoculars are notorious for losing definition as they zoom in, but these maintain a clear view of the image right through the zoom option. The Dorr Alpina Pro 8-20x50 Porro Prism Zoom Binoculars are ideal for all types of outdoor observations and the rubber coating provides added durability and grip. The retractable eyecups are ideal for people who wear glasses, just keep them turned down when wearing glasses and then turn them up to use without.